Compaq - 314670-001 HP/COMPAQ - SYSTEM BOARD WITH PROCESSOR CAGE FOR PROLIANT (011656-001). REFURBISHED. IN STOCK. SHIP SAME DAY. Compaq - 293368-001 HP/COMPAQ - SYSTEM BOARD FOR PROLIANT DL320 G2(293368-001). REFURBISHED. IN STOCK. SHIP SAME DAY. Compaq - 361743-001 HP/COMPAQ - SYSTEM I/O BOARD FOR PROLIANT BL30P(361743-001). REFURBISHED. IN STOCK. SHIP SAME DAY. Compaq - 311620-002 HP/COMPAQ - 533MHz SYSTEM BOARD WITH PROCESSOR CAGE FOR PROLIANT (311620-002). REFURBISHED. IN STOCK. SHIP SAME DAY. Compaq - 376468-001 HP/COMPAQ - SYSTEM BOARD FOR PROLIANT DL580 G3(376468-001). REFURBISHED. IN STOCK. SHIP SAME DAY. Dell - 410186-001 HP/COMPAQ - SYSTEM I/O BOARD FOR PROLIANT DL580 G4(410186-001). REFURBISHED. IN STOCK. SHIP SAME DAY. Dell - 322318-001 HP/COMPAQ - 533MHZ SYSTEM BOARD FOR PROLIANT ML350 G3(322318-001). REFURBISHED. IN STOCK. SHIP SAME DAY. Hewlett Packard - 378911-001 HP/COMPAQ - SYSTEM BOARD WITH PROCESSOR CAGE FOR PROLIANT SERVER (378911-001). REFURBISHED. IN STOCK. SHIP SAME DAY. Compaq - 012092-001 HP/COMPAQ - SYSTEM BOARD FOR PROLIANT DL580 G3(012092-001). REFURBISHED. IN STOCK. SHIP SAME DAY. Hewlett Packard - 436066-001 HP/COMPAQ - SYSTEM BOARD FOR PROLIANT DL360 G5(436066-001). REFURBISHED. IN STOCK. SHIP SAME DAY. Compaq - 348271-001 HP/COMPAQ - SYSTEM I/O BOARD FOR PROLIANT BL20P G2(348271-001). REFURBISHED. IN STOCK. SHIP SAME DAY. Compaq - 382134-001 HP/COMPAQ - SYSTEM BOARD FOR PROLIANT DL360 G4(382134-001). REFURBISHED. IN STOCK. SHIP SAME DAY. Compaq - 408290-001 HP/COMPAQ - SYSTEM BOARD FOR PROLIANT DL140 G2(408290-001). REFURBISHED. IN STOCK. SHIP SAME DAY. Compaq - 408297-001 HP/COMPAQ - SYSTEM BOARD FOR PROLIANT DL145 G2(408297-001). REFURBISHED. IN STOCK. SHIP SAME DAY. Compaq - 434426-001 HP/COMPAQ - SYSTEM BOARD FOR PROLIANT DL145 G3 (434426-001). REFURBISHED. IN STOCK. SHIP SAME DAY. Hewlett Packard - 012585-501 HP/COMPAQ - SYSTEM BOARD WITH PROCESSOR CAGE FOR PROLIANT SERVER (012585-501). REFURBISHED. IN STOCK. SHIP SAME DAY. Compaq - 228494-001 HP/COMPAQ - SYSTEM BOARD FOR PROLIANT DL380 G2(228494-001). REFURBISHED. IN STOCK. SHIP SAME DAY. Compaq - 361385-001 HP/COMPAQ - SYSTEM BOARD FOR PROLIANT DL360 G4 (361385-001).REFURBISHED. IN STOCK. SHIP SAME DAY. Compaq - 378623-001 HP/COMPAQ - SYSTEM I/O BOARD FOR PROLIANT DL320 G3(378623-001). REFURBISHED. IN STOCK. SHIP SAME DAY. Hewlett Packard - 440633-001 HP/COMPAQ - SYSTEM BOARD FOR PROLIANT DL140 G3(440633-001). REFURBISHED. IN STOCK. SHIP SAME DAY. Hewlett Packard - 384162-501 HP/COMPAQ - SYSTEM BOARD FOR PROLIANT ML350 G4(384162-501). REFURBISHED. IN STOCK. SHIP SAME DAY. Compaq - 390546-001 HP/COMPAQ - SYSTEM BOARD FOR PROLIANT ML350 G4(390546-001). REFURBISHED. IN STOCK. SHIP SAME DAY. Compaq - 354573-001 HP/COMPAQ - SYSTEM BOARD FOR PROLIANT DL360 G4(354573-001). REFURBISHED. IN STOCK. SHIP SAME DAY. Compaq - 405497-001 HP/COMPAQ - SYSTEM BOARD FOR PROLIANT BL465C(405497-001). REFURBISHED. IN STOCK. SHIP SAME DAY. Compaq - 223493-001 HP/COMPAQ - SYSTEM BOARD FOR PROLIANT ML530(223493-001). REFURBISHED. IN STOCK. SHIP SAME DAY. Compaq - 389110-502 HP/COMPAQ - SYSTEM BOARD FOR PROLIANT DL145 G2(389110-502). REFURBISHED. IN STOCK. SHIP SAME DAY. Compaq - 373476-001 HP/COMPAQ - SYSTEM BOARD FOR PROLIANT BL25P(373476-001). REFURBISHED. IN STOCK. SHIP SAME DAY. Compaq - 201424-001 HP/COMPAQ - SYSTEM BOARD (MOTHERBOARD) FOR PROLIANT DL590 (201424-001). REFURBISHED. IN STOCK. SHIP SAME DAY. Compaq - 434171-001 HP/COMPAQ - SYSTEM BOARD (MOTHERBOARD) FOR PROLIANT DL140 G3 (434171-001). REFURBISHED. IN STOCK. SHIP SAME DAY. Compaq - 409536-002 HP/COMPAQ - SYSTEM BOARD FOR PROLIANT DL140 G3(409536-002). REFURBISHED. IN STOCK. SHIP SAME DAY. Compaq - 409720-001 HP/COMPAQ - SYSTEM BOARD FOR PROLIANT BL25P (409720-001). REFURBISHED. IN STOCK. SHIP SAME DAY. Compaq - 431355-001 HP/COMPAQ - SYSTEM BOARD FOR PROLIANT DL365 G1(431355-001). REFURBISHED. IN STOCK. SHIP SAME DAY. Compaq - 368159-001 HP/COMPAQ - SYSTEM BOAR FOR PROLIANT ML570 G3(368159-001). REFURBISHED. IN STOCK. SHIP SAME DAY. Compaq - 011429-001 HP/COMPAQ - SYSTEM BOARD PROLIANT BL40(011429-001). REFURBISHED. IN STOCK. SHIP SAME DAY. 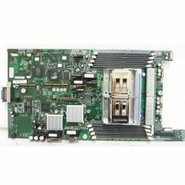 Compaq - 407462-001 HP/COMPAQ - SYSTEM BOARD SUPPORTS DUAL-CORE PROCESSORS FOR PROLIANT BL480C(407462-001). REFURBISHED. IN STOCK. SHIP SAME DAY. Compaq - 377581-001 HP/COMPAQ - SYSTEM BOARD FOR PROLIANT ML110 G2(377581-001). REFURBISHED. IN STOCK. SHIP SAME DAY. Compaq - 412318-001 HP/COMPAQ - SYSTEM BOARD FOR PROLIANT DL585(412318-001).REFURBISHED. IN STOCK. SHIP SAME DAY. Compaq - 012422-000 HP/COMPAQ - SYSTEM BOARD FOR PROLIANT DL585 G1(012422-000). REFURBISHED. IN STOCK. SHIP SAME DAY. Hewlett Packard - 411028-001 HP/COMPAQ - DUAL CORE SYSTEM BOARD WITH PROCESSOR CAGE FOR PROLIANT DL380 G4(411028-001). REFURBISHED. IN STOCK. SHIP SAME DAY. 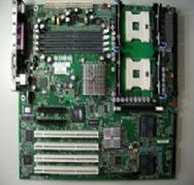 Compaq - 344431-001 HP/COMPAQ - DUAL CORE SYSTEM BOARD WITH PROCESSOR CAGE FOR PROLIANT DL380 G4 (344431-001). REFURBISHED. IN STOCK. SHIP SAME DAY. Compaq - 313025-001 HP/COMPAQ - 533MHZ FSB I/O SYSTEM BOARD FOR PROLIANT ML310 (313025-001). REFURBISHED. IN STOCK. SHIP SAME DAY. Compaq - 457882-001 HP/COMPAQ - SYSTEM BOARD FOR PROLIANT DL160 G5(457882-001). REFURBISHED. IN STOCK. SHIP SAME DAY. Compaq - 409752-001 HP/COMPAQ - SYSTEM BOARD FOR PROLIANT BL35P(409752-001). REFURBISHED. IN STOCK.SHIP SAME DAY. Compaq - 419500-001 HP/COMPAQ - SYSTEM BOARD FOR PROLIANT BL45P G2(419500-001). REFURBISHED. IN STOCK. SHIP SAME DAY. Compaq - 404677-001 HP/COMPAQ - DUAL CORE SAS SYSTEM BOARD FOR PROLIANT BL35P(404677-001). REFURBISHED. IN STOCK. SHIP SAME DAY. Compaq - 438453-001 HP/COMPAQ - SYSTEM BOARD SUPPORTS QUAD-CORE PROCESSORS FOR PROLIANT BL480C(438453-001). REFURBISHED. IN STOCK. SHIP SAME DAY. Compaq - 409353-001 HP/COMPAQ - SYSTEM BOARD FOR PROLIANT BL20P G3(409353-001). REFURBISHED. IN STOCK. SHIP SAME DAY. Compaq - 419643-001 HP/COMPAQ - SYSTEM BOARD W/TRAY FOR PROLIANT ML310 G4 (419643-001). REFURBISHED. IN STOCK. SHIP SAME DAY. Compaq - 398404-001 HP/COMPAQ - SYSTEM BOARD FOR PROLIANT ML310 G3(398404-001). REFURBISHED. IN STOCK. SHIP SAME DAY. Compaq - 012093-000 HP/COMPAQ - SYSTEM BOARD FOR PROLIANT DL580 G3(012093-000). REFURBISHED. IN STOCK. SHIP SAME DAY. Compaq - 452339-001 HP/COMPAQ - SYSTEM BOARD FOR PROLIANT DL185 G5(452339-001). REFURBISHED. IN STOCK. SHIP SAME DAY. Compaq - 445120-001 HP/COMPAQ - SYSTEM BOARD FOR PROLIANT DL185 G5(445120-001). REFURBISHED. IN STOCK. SHIP SAME DAY. Compaq - 287176-001 HP/COMPAQ - SYSTEM BOARD FOR PROLIANT ML310 G2(287176-001). REFURBISHED. IN STOCK. SHIP SAME DAY. Compaq - 370638-001 HP/COMPAQ - SYSTEM BOARD FOR PROLIANT ML150 G2(370638-001). REFURBISHED. IN STOCK. SHIP SAME DAY. Compaq - 373275-001 HP/COMPAQ - SYSTEM BOARD FOR PROLIANT ML150 G2(373275-001). REFURBISHED. IN STOCK. SHIP SAME DAY. Compaq - 409724-001 HP/COMPAQ - SYSTEM BOARD FOR PROLIANT BL20P G3(409724-001). REFURBISHED. IN STOCK. SHIP SAME DAY. Compaq - 432924-001 HP/COMPAQ - SYSTEM BOARD FOR PROLIANT DL320 G5(432924-001). REFURBISHED. IN STOCK. SHIP SAME DAY. Compaq - 410426-001 HP/COMPAQ - SYSTEM BOARD FOR PROLIANT ML150 G3(410426-001). REFURBISHED. IN STOCK. SHIP SAME DAY. Compaq - 405908-001 HP/COMPAQ - SYSTEM BOARD FOR PROLIANT BL20P G4(405908-001). REFURBISHED. IN STOCK. SHIP SAME DAY. Compaq - 419527-001 HP/COMPAQ - SYSTEM BOARD FOR PROLIANT BL25 G2(419527-001). REFURBISHED. IN STOCK. SHIP SAME DAY. Compaq - 532235-001 HP/COMPAQ - SYSTEM BOARD FOR PROLIANT BL490C G6(532235-001). REFURBISHED. IN STOCK. SHIP SAME DAY. Hewlett Packard - 398437-001 HP/COMPAQ - SYSTEM BOARD FOR PROLIANT DL320 G4(398437-001). REFURBISHED. IN STOCK. SHIP SAME DAY. Compaq - 480508-001 HP/COMPAQ - SYSTEM BOARD FOR PROLIANT DL120 G5(480508-001). REFURBISHED. IN STOCK. SHIP SAME DAY. Compaq - 457883-001 HP/COMPAQ - SYSTEM BOARD FOR PROLIANT ML110 G5(457883-001). REFURBISHED. IN STOCK. SHIP SAME DAY. Compaq - 313026-001 HP/COMPAQ - SCSI 533MHZ FSB SYSTEM I/O BOARD FOR PROLIANT ML310 (313026-001). REFURBISHED. IN STOCK. SHIP SAME DAY. Compaq - 404257-001 HP/COMPAQ - SYSTEM BOARD FOR PROLIANT DL100 G2(404257-001). REFURBISHED. IN STOCK. SHIP SAME DAY. Compaq - 382971-001 HP/COMPAQ - SYSTEM BOARD FOR FOR PROLIANT ML310 G2(382971001). REFURBISHED. IN STOCK. SHIP SAME DAY. Compaq - 409703-001 HP/COMPAQ - SYSTEM BOARD FOR PROLIANT BL35P(409703-001). REFURBISHED. IN STOCK. SHIP SAME DAY. Compaq - 389504-001 HP/COMPAQ - SYSTEM BOARD FOR PROLIANT ML110 G3(389504-001). REFURBISHED. IN STOCK. SHIP SAME DAY. Compaq - 392170-001 HP/COMPAQ - SYSTEM BOARD FOR PROLIANT ML110 G3(392170-001). REFURBISHED. IN STOCK. SHIP SAME DAY. Compaq - 445072-001 HP/COMPAQ - SYSTEM BOARD FOR PROLIANT ML110 G5(445072-001). REFURBISHED. IN STOCK. SHIP SAME DAY. Compaq - 454510-001 HP/COMPAQ - SYSTEM BOARD FOR PROLIANT DL320G5P/ML310G5 (454510-001).REFURBISHED. IN STOCK. SHIP SAME DAY. Compaq - 507255-001 HP/COMPAQ - SYSTEM BOARD FOR PROLIANT DL180 G6(507255-001).REFURBISHED. IN STOCK. SHIP SAME DAY. Compaq - 468915-001 HP/COMPAQ - SYSTEM BOARD FOR PROLIANT BL260C G5(468915-001). REFURBISHED. IN STOCK. SHIP SAME DAY. Compaq - 461511-001 HP/COMPAQ - SYSTEM BOARD FOR PROLIANT ML180 G5(461511-001). REFURBISHED. IN STOCK. SHIP SAME DAY. Compaq - 608865-001 HP/COMPAQ - SYSTEM BOARD FOR PROLIANT DL180 G6 SYSTEM BOARD(608865-001). REFURBISHED. IN STOCK. SHIP SAME DAY. Compaq - 450054-001 HP/COMPAQ - SYSTEM BOARD FOR PROLIANT ML150 G5(450054-001). REFURBISHED. IN STOCK. SHIP SAME DAY. Compaq - 449365-001 HP/COMPAQ - SYSTEM BOARD FOR PROLIANT DL380 G5 (449365-001). REFURBISHED. IN STOCK. SHIP SAME DAY. Compaq - 493799-001 HP/COMPAQ - SYSTEM BOARD FOR PROLIANT DL360 G6(493799-001). REFURBISHED. IN STOCK. SHIP SAME DAY. Hewlett Packard - 450086-001 HP/COMPAQ - SYSTEM BOARD FOR PROLIANT BL685C G5(450086-001). REFURBISHED. IN STOCK. SHIP SAME DAY. Compaq - 463751-001 HP/COMPAQ - SYSTEM BOARD FOR PROLIANT DL585 G5(463751-001). REFURBISHED. IN STOCK. SHIP SAME DAY. Compaq - 519728-001 HP/COMPAQ - SYSTEM BOARD FOR PROLIANT ML150 G6(519728-001. REFURBISHED. IN STOCK. SHIP SAME DAY. Compaq - 453167-001 HP/COMPAQ - SYSTEM BOARD FOR PROLIANT BL495C G5(453167-001). REFURBISHED. IN STOCK. SHIP SAME DAY. Compaq - 505552-001 HP/COMPAQ - SYSTEM BOARD FOR PROLIANT BL460G5(505552-001). REFURBISHED.IN STOCK. SHIP SAME DAY.